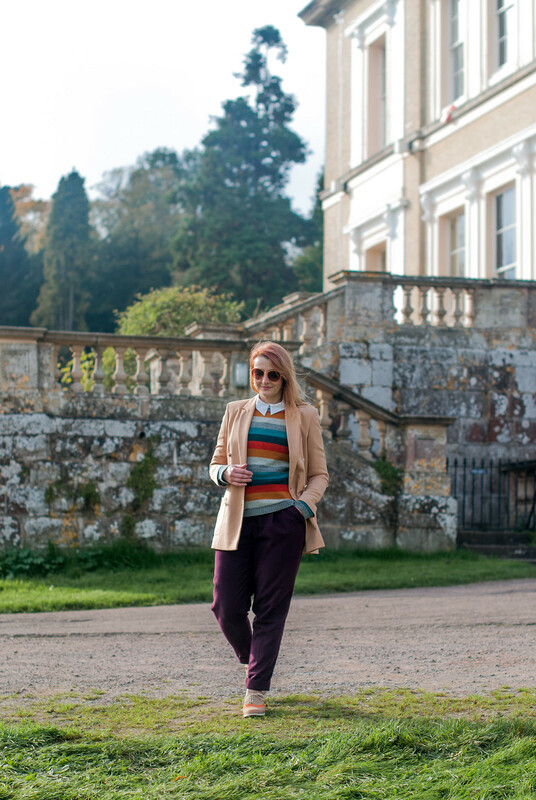 There are few things that make you feel more like the lady of the manor than an English country estate – especially on a beautiful autumn day. 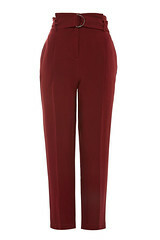 And what’s better to wear than something a little preppy? It’s a style I generally associate with summer because of all the sailor stripes and gingham, but if you switch up the cotton for lambswool and the gingham for stripes in earthy tones you’ve got yourself preppy style in autumn. Joking aside – the real reason we were there was to watch my brother in a cycle race that went around the grounds, so it was the perfect spot for a photo shoot. 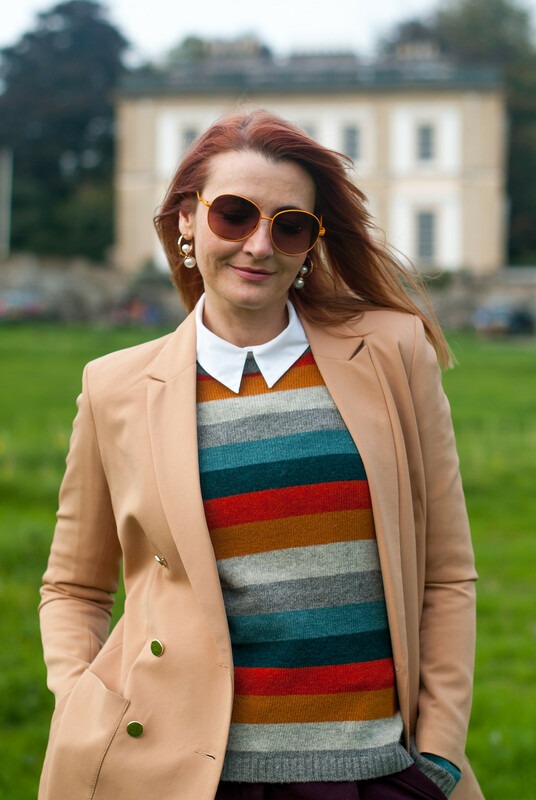 It was also strangely warm for mid-October – I layered a white shirt under my new sweater and I really didn’t need the blazer, but I liked the way the colours all went together so the blazer stayed on. 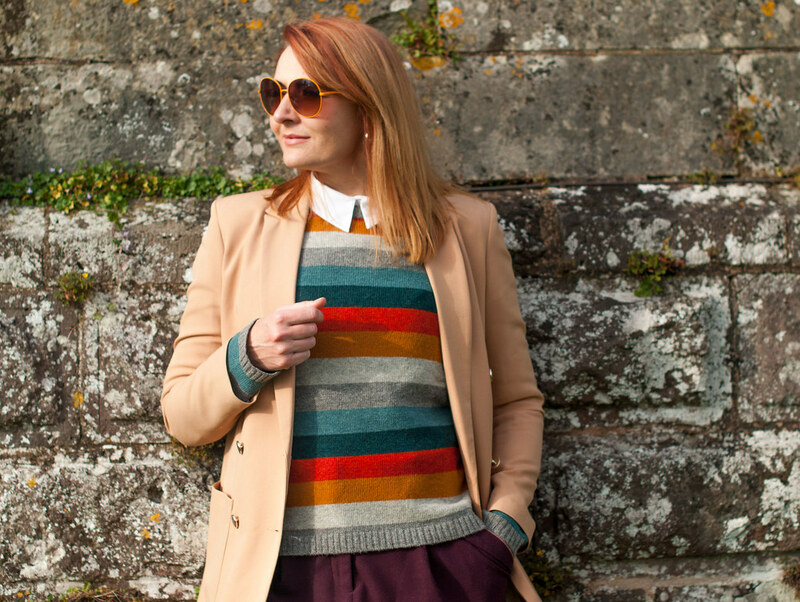 This outfit is a mixture of old and new – the new blending seamlessly with other items in my wardrobe. 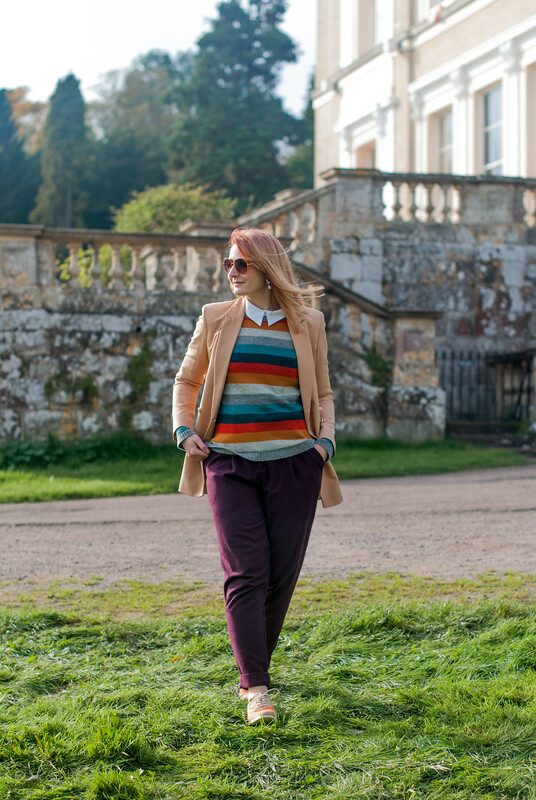 I think my ‘Autumnal Preppy’ look really suited the house and grounds; the colours were perfect for this time of year. The knit is a new season item from Seasalt: the Trumpet Jumper is 80% lambswool and made of the most delicious greens, greys and warm copper colours that were inspired by the Cornish landscape. 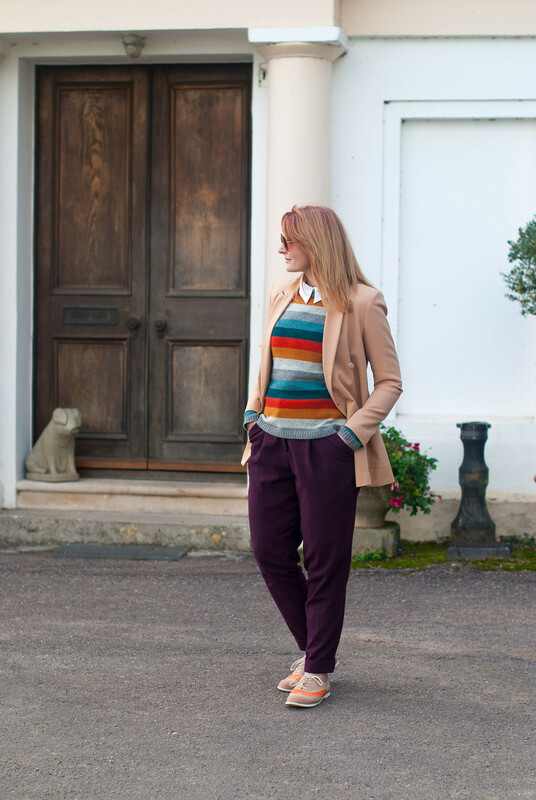 It goes beautifully with my many-moons-old aubergine peg trousers (similar) which add more warmth to the outfit than charcoal or black trousers would. 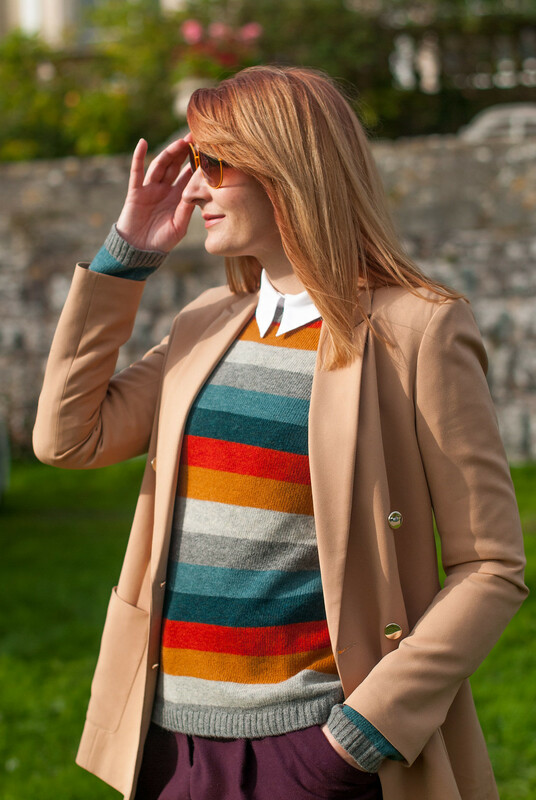 The colours of the sweater are so gorgeous it would be a shame to deaden them with black. 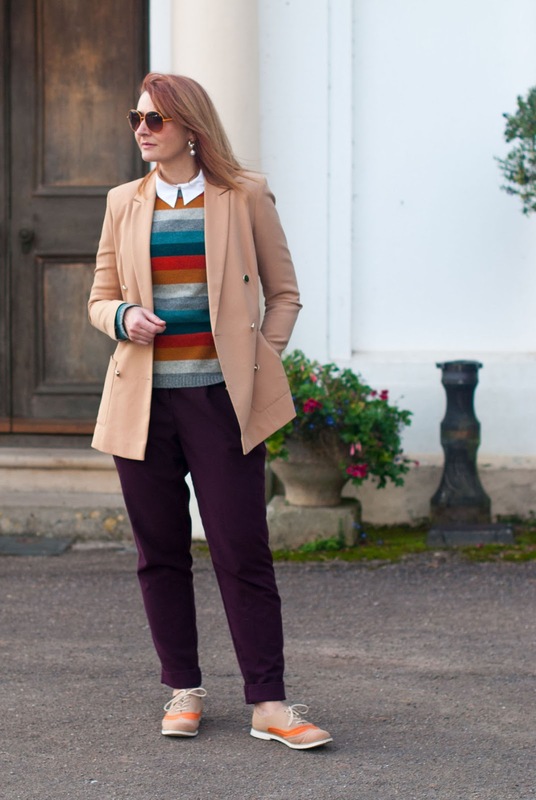 The longline blazer is from Oasis – funnily enough, I bought it whilst looking for a Prince of Wales check oversized blazer and this one came up in my search. 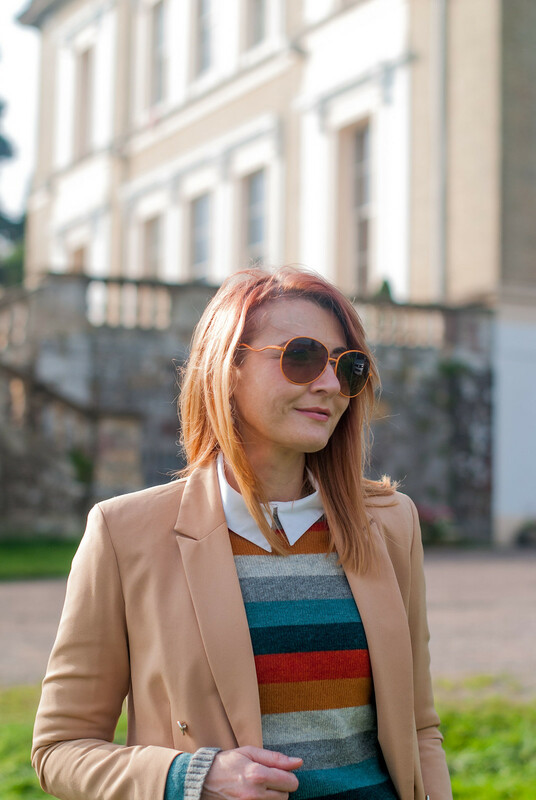 I love camel so much, it’s such a versatile, goes-with-everything neutral and I have a feeling this blazer might get worn a LOT this autumn (I’ve already worn it several times and I’ve only had it a couple of weeks). 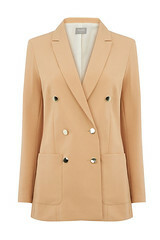 I LOVE CAMEL SO MUCH, IT’S SUCH A VERSATILE, GOES-WITH-EVERYTHING NEUTRAL. And finally: yet another pair of brogues – two-tone – from my vast collection. 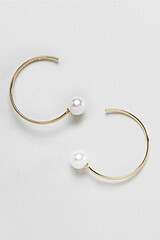 These are many years old, though I have found a few fab alternatives such as this pair and this pair. I’ve been a fan of brogues for years now and I’m not sure when I’ll ever tire of wearing them. I had to choose between three pairs of mine that I thought would go with the outfit – camel and orange won out in the end. For those of you that have been following my Seasalt ambassadorship posts, you might like to know that I’ll be hosting a giveaway towards the end of next month – just in time for Christmas. So if you win you could treat yourself or someone you love… don’t miss it! 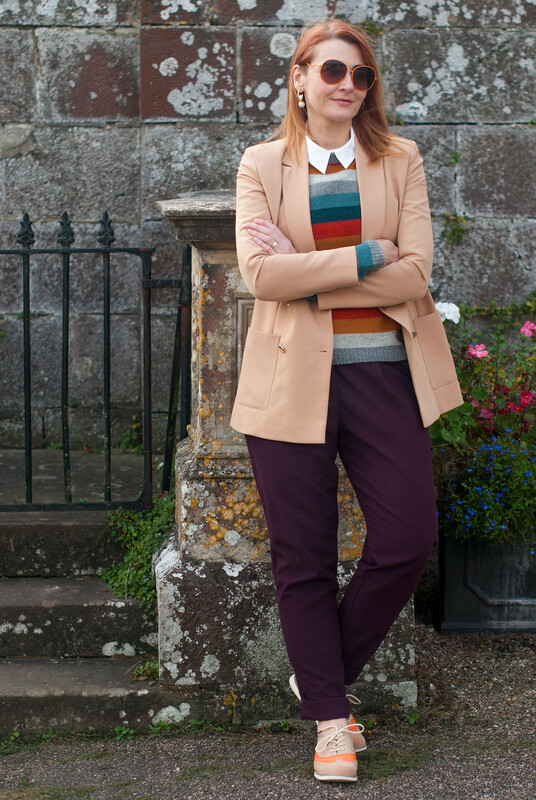 DO YOU DO PREPPY IN THE AUTUMN – AND WOULD YOU BE INTERESTED IN A SHOPPING POST ABOT BROGUES…? TELL ME IN THE COMMENTS OR TWEET ME @NOTLAMB! Disclosure: This post was sponsored by Seasalt (click here for my full disclosure). It also contains some affiliate links which means if you click through and buy I may receive a small commission. All content is original, however, and opinions are my own and 100% honest. As a regular reader of your blog (from Canada!) I really enjoy how different your outfits are. And I would love to see a brogue/lace up post! I love this sweater. It looks very soft and cozy. You have styled it beautifully. This styling, these unexpected colour combination is what fascinated me when I started following your blog. And it still does. I would never in a million years come up with this. I am still stuck in black/white/bright colour. Never mind, I will watch you more closely and see whether I can come up with more interesting combination. But I don't do preppy. And outfit like yours on me would make me look like a man.